Delhi / NCR , 18th July 2018: Safeducate, a pioneer in bridging the industry – academia skill gap, launched the 2nd phase of Container School training programme. The model school was inaugurated today by Hon’ble MoRD Joint Secretary (Skills) Shri. Kamran Rizvi along with Safeducate Founder and CEO Ms Divya Jain. 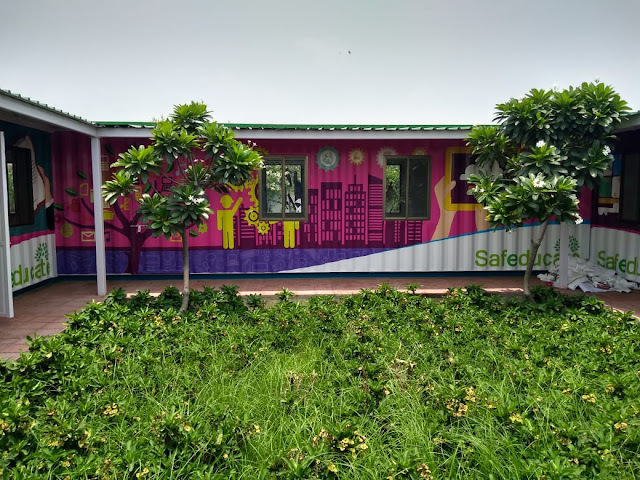 The Container School Training Programme is a unique innovation from Safeducate, where classrooms are made out of recycled containers to be used as skill development centers. The concept launched in 2015 has been highly successful and has trained over 35,000 students from Tier 3 and rural India in two years. This novel experiment is widely lauded by the National Skill Development Corporation (NSDC) and Ministry of Rural Development (MORD) as it has the potential to transform the skilling landscape. The second phase of the Container School Program is aimed at expanding its geographical reach and increase the base of beneficiaries by more than double its current strength, i.e. 70,000 students. The innovative concept of converting recycled containers into classrooms and practical labs will greatly bring down the cost and effort involved in developing infrastructure to meet the skilling needs of people. The modular nature of these containers means that they can be disassembled and reinstalled in another location, whenever needed. Over the past 2 years training is being conducted across 20 locations including Nagpur, Ahmedabad, Dhule, Sawai Madhopur and Jamshedpur. The initiative is being part-funded by the Skill Development Ministry under the aegis of the Pradhan Mantri Kaushal Vikas Yojana and Skill India Mission.